A perfectly normal, perfectly average, perfectly dull day turns into something for Brian, Chad and their fellow high-schoolers. Brian worries about his panic-ridden ex, Laura; Chad wonders if he'll get with Brian's sister before he leaves for the army; drama geeks work in the theatre department and jocks prepare for the latest pep rally. Except the rally isn't particularly preppy and the drama crowd aren't going to be putting on a show anytime soon. Primarily because they are rapidly overrun by a hoard of, er, infected citizens who run like apes, are covered in odd, calcified skin and who seem to have a fondness for bone marrow. Being avid observers of pop culture, it quickly becomes clear to the rag tag bunch of students that Brian finds himself at the heart of, that their former friends and teachers resemble...well...zombies more than patients, no matter how much it seems nicer to refer to them as ill. Stuck in a school that has plenty akin with a prison, they only have a matter of time to break out before the infected break in. Brian is a pretty nice bloke with a strange choice in friends. Obviously bright, he still gives off a decent slacker vibe without seeming like a future high-school drop out. Devoted to a sister he almost lost and clearly not over the girl he dumped literally for her own good (seriously, he really means this and his reasoning is not unsound), he's loyal almost to a fault where his friend Chad is concerned and genuinely interested in his fellow students. An observer at heart, he's a great protagonist through whom Tom Leveen explores the insanity of the situation the characters are in. Chad is less likable. While he's clearly a good friend to have, he's also a bit of an arse. The kind of teenager who rather artlessly throws around words homophobia and racism more because, one suspects, it suits his carefully constructed hard-man image than through any true bigotry. It's hard to stomach, but not unfamiliar to anyone who has ever been a certain age – there is a Chad in every year group, sadly. This Chad loves his friends, loves his mum and eventually seems to be able to put aside his default moron-mode for the greater good. He's a fairly bravely written character and, in fact, holds more interest than his protagonist friend. Other characters pepper a diverse cast. Gay, straight; fat, thin; black, white; rich, poor; all are represented in a pleasingly non-stereotypical manner. The portrayal of Laura as a girl with mental health issues (specifically intense anxiety) was pleasing to read, if rather quickly resolved and Kenzie's history of leukemia is an interesting counterpoint to the life/death situation of the day. The majority of characters are teenage but Brian's mother plays a small part. As a doctor on the “outside” she is more often than not a tool for exposition but she's believably frantic and plays a vital role in the group's understanding of the infected. Sick has been publicised with the tag line “Walking Dead meets The Breakfast Club” but what it really reminds me of is The Faculty. It's a lot of fun, despite the rather grim reality that the characters are faced with and the plot is pacey and well put together. Particularly nice was the section in which a character first mentions the Z-word. Often in zombie books the characters seem not to mention that the hoards of living dead that surround them bare a striking resemblance to those seen on TV and in movies. This lot bring it up relatively quickly and just as quickly realise that it's not a term they are comfortable using, a reaction that seems entirely realistic. There's also some nicely expositioned science that attempts to explain what is happening, with Brian figuring out a possible reason for the illness based on his sister's leukemia. Whether the scientific explanation holds water or not it's believable enough to carry readers through. Zombies have, in YA, been rather done to death (ha!) 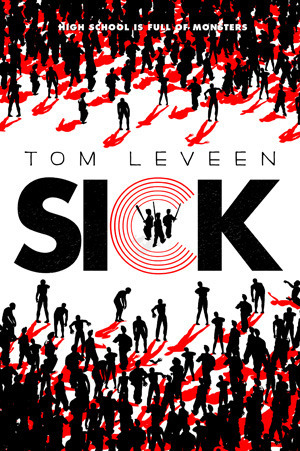 but Tom Leveen has managed to present a fast-paced, enjoyably brutal story that shines a light on humanity and survival rather than the lack of it. For lovers of the undead, this is an entirely acceptable addition and the realistic dialogue, well-rounded characters and well-walked trope of a united gang of misfits are all well written. 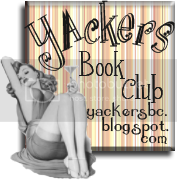 Sick is a title that is certainly worth a look from an author who is a welcome face on the YA scene and a great way to spend a rainy evening on the run up to Halloween. This review was brought to you by Splendibird. Sick will be published on 21st October 2013 and Zombie fans should add it to their wish-lists now. 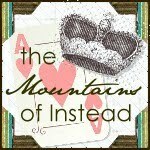 Thank you to the publisher for sending us this title to review. Wow, really nice review of this book and I love the genre! Looking forward to reading this one...as my TBR pile grows ever-larger!